Member companies that primarily distribute fresh, frozen and or further processed foods including chicken, pork, beef, turkey, vegetables to paper products, sauces and/or more to retail meat markets, super markets, independent restaurants, national restaurants, foodservice and institutions. Members can take advantage of several networking events to make new contacts and cultivate relationships with other members. 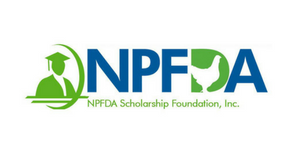 These events include the Annual Convention in Atlanta every January, the Poultry Suppliers Showcase, The NPFDA Fall Meeting and the Shared Interest Groups Distributors Exchange). NPFDA keeps members informed though alerts, Member Newsletter and the Member Directory - print and on-line .While Bringing Buyers and Sellers together is what we do best, we do offer a host of other cost saving benefits to help lower your expenses including APPI Discount, Go to Meeting, Office Max discount, FedEx discounts, UPS discounts, Fleet Management Discounts, and more. Annual Dues: $550 per year with an additional $100 per Branch Company that joins. All equal right to benefits. Branch Members must be branch of a member that pays full dues. If you are applying as a Branch, please check the "Are you applying to be a Branch Member?" box on the registration form. Food Broker/Traders are independent sales agents or companies that work in negotiating sales for food producers and manufacturers. Food brokers work for both producers and buyers of food as they help sell food products to chain wholesalers, independent wholesalers and more. Many of these agents and companies are also helpful in exporting or importing food products. Does not include Transportation Brokers-(Transportation Member Type). Annual Dues: $550 per year with an additional $100 per Branch Company that joins. All equal right to benefits. Branch Members must be branch of a member that pays full dues. Broiler Processing Companies are involved in preparation of meat from various types of fowl for consumption by humans. Broiler Processor Members slaughter, eviscerate, and process young chicken (broilers) under U.S Department of Agriculture inspection. Most broiler processors are vertically integrated handling the chicken from hatchery through marketing and sales to Distributors and Broker/Traders, buyers. All Member Companies that are not Distributors, Processors, or Broker/Traders. Many allied member firms tend to include Cold Storage and Freezer Services, Energy and Transportation Savings Partners, Software/Hardware companies, Publishing, Credit and Price Reporting companies. A large majority of allied member companies provide Transportation of any kind including Regrigerrated (fresh or frozen) Trucking, Air Freight, Ocean Shipping, Intermodel and Rail Transportation/Logistics. Any and all Refrigerated methods of getting products to domestic retail, foodservice and Import/Export; and includes transportation Brokers of the same. Annual Dues $550 per year with an additional $100 per Branch Company that joins. All equal right to benefits. Branch Members must be branch of a member that pays full dues. If you are applying as a Branch, please check the "Are you applying to be a Branch Member?" box on the registration form. Member companies that primarily break cases and/or further process product and then distribute product to the end retailer including fresh, frozen and further processed foods including chicken, pork, beef, turkey, vegetables to paper products, sauces and/or more to retail meat markets, super markets, independent restaurants, national restaurants, foodservice and institutions. Members can take advantage of several networking events to make new contacts and cultivate relationships with other members. These events include the Annual Convention in Atlanta every January, the Poultry Suppliers Showcase, The NPFDA Fall Meeting and the Shared Interest Groups. NPFDA keeps members informed though alerts, Member Newsletter and the Member Directory - print and on-line .While Bringing Buyers and Sellers together is what we do best, we do offer a host of other cost saving benefits to help lower your expenses including APPI Discount, Go to Meeting, Office Max discount, FedEx discounts, UPS discounts and more. Poultry processing Companies are involved in preparation of meat from various types of protein for consumption by humans. Other Processor Members slaughter, eviscerate, and process young chicken and other fowl, Ducks, Geese, Quail, Hens, Fowl and other proteins under U.S Department of Agriculture inspection. Most are vertically integrated handling the product. Some Other Processors are further processors who sell to Distributors and Broker/Traders or other buyers. Institutions of higher learning and/or education professionals that research, educate, and advance the poultry and food science industry.